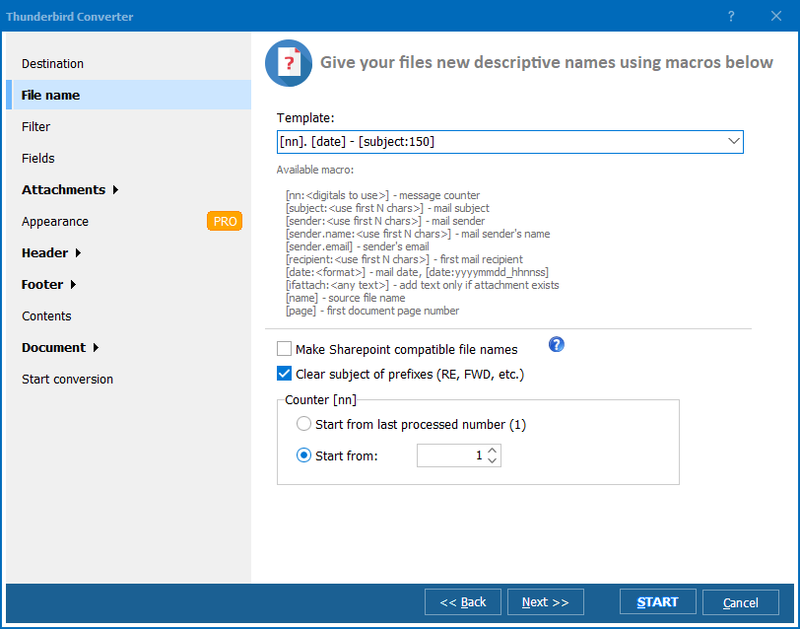 Convert the emails from Thunderbird to PDF, DOC, TXT, TIFF and PST in batch. Further jazz the conversions and customize them as your need might be. Total Thunderbird Converter from CoolUtils provides you with an array of cool features that you might choose to make full use of. Personalize the document by adding logos, images and QR codes. These could be added both in the header and footer of each PDF page. 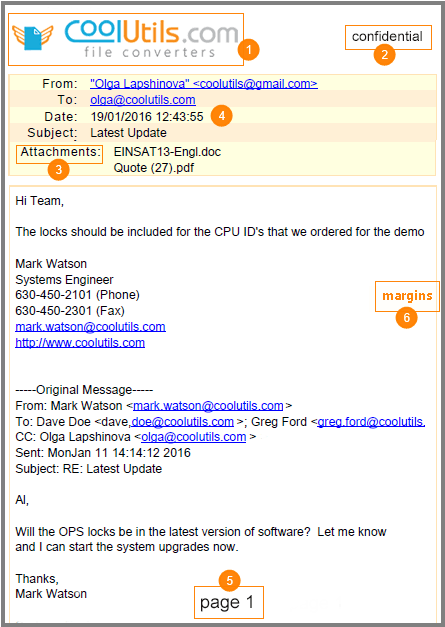 Easily manage the converted file by adding text watermarks, stamp bates, dates and legal notes. 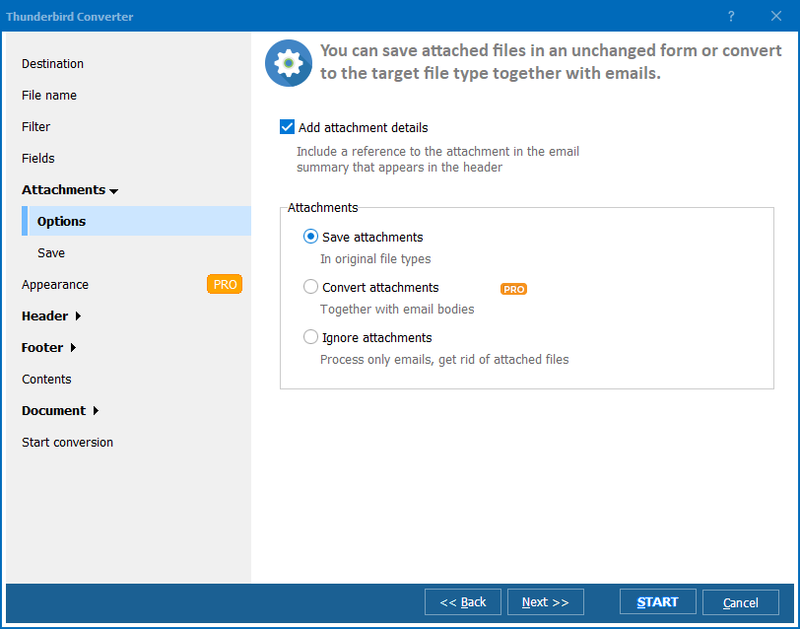 Effortlessly convert the attachments along with the emails. Convert the attachments into the separate PDF files and save them in a separate folder. You could also choose to include them within the document as clickable links or append them at the end of the mail body. 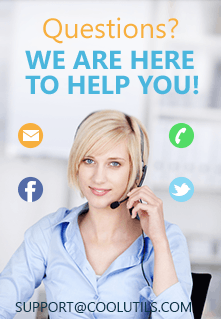 Change the dates of received mails and convert them into your own time zone. Add pagination and give page numbers to the file for easy navigation. You could even choose to present your document the way you want. Set your own margins or apply external CSS scheme. But the array of features doesn't stop here. 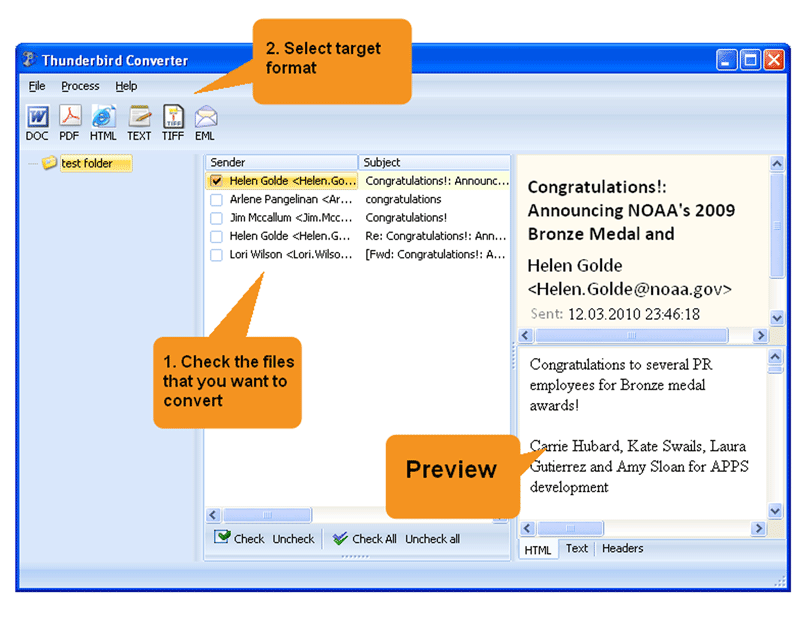 Total Thunderbird Converter allows you to choose the fields that you want to add in the final document - sender name, date to name a few. Total Thunderbird Converter is a perfectly designed tool with user friendly interface. You could even choose to instruct the tool through its command line GUI.